Majestic summits and sheer rock walls combined with plenty of South Tyrolean hospitality – welcome to Sesto / Sexten in Alta Pusteria in the “land of the Tre Cime di Lavaredo”. Surrounded by the overwhelming natural beauty of the Dolomites of Sesto lies the homonymous valley on an altitude of 1.300 meters above sea level. 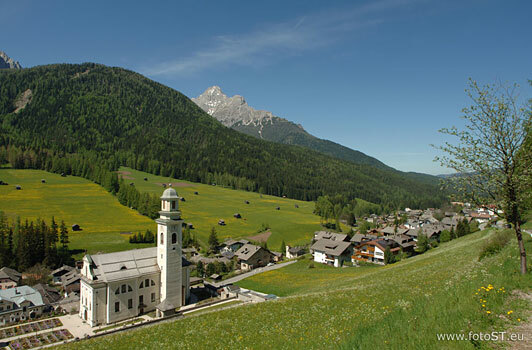 Nature-loving people cherish the contemplative atmosphere which characterises the village Sesto in Alta Pusteria; adventurers and those guests looking for recovery enjoy the diversified recreational fun in the outdoors as well as the comfort of the first-rate accommodation options in Sesto. South Tyrol also has a lot to offer during winter time: skiing or cross-country skiing, snowboarding or tobogganing, winter athletes will have a good time in Sesto in Alta Pusteria / Hochpustertal – spoil yourself!